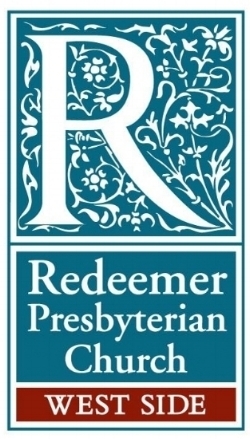 Redeemer West Side is a church for people who are seeking a place to voice doubts, affirm beliefs, and find hope in the midst of hardships and suffering. It is a place for those who desire friendship and community, and are eager to serve and improve the lives of New Yorkers. This community is for Christians, for skeptics, for the curious, for New York. Redeemer Counseling transforms people from all walks of life through professional, biblically-based counseling. Hope for New York provides volunteer and financial resources to more than 50 nonprofit organizations serving poor or marginalized populations in New York City. Center for Faith & Work explores and investigates the gospel’s unique power to renew hearts, communities and the world in our day-to-day work. CFW organizes thoughtful anprogramming, classes and events. City to City prayerfully recruits, trains, coaches and resources leaders who cultivate gospel movements in global cities. CTC’s core competencies are urban church planting, leadership development and content creation. W83 Ministry Center serves as a meeting place of accessibility and affordability for our neighbors in the Upper West Side and beyond. Founded by Redeemer Presbyterian Church in 2012, W83 became a place where our Christian community could welcome and serve its neighbors and the city. Based on Jeremiah 29:7, Redeemer seeks to love God and its neighbors by partnering with others to bring about the flourishing of all people in a great city. Also, seek the peace and prosperity of the city to which I have carried you into exile. Pray to the Lord for it, because if it prospers, you too will prosper. Jeremiah 29:7. The building serves as the worship home for Redeemer West Side and as a central events space for churches and ministries in the Redeemer Presbyterian family network. From Mondays to Saturdays, our five-story, 45,000 square foot building serves as a multifunction community space and cultural center for the NYC community at-large. Through public and private event rentals, W83 Ministry Center provides a welcoming and affordable venue for the cultivation of community and cultural activities. If you have any questions about Redeemer West Side or its ministry partners, please email westside@redeemer.com.